STEM is an acronym for Science, Technology, Engineering and Math and is an important category of STEM Toys. The best definition of STEM Toys is learning toys developed with an educational concept for use in learning purposes. For parents and guardians who have always wondered what benefits their kids get from playing toys, these learning toys have a significant positive impact in the educational well-being. Below are just a few examples of amazing tosy for you little ones this Holiday season. 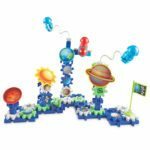 The endless variations for stacking and interlacing the chunky cogs encourages repeat play, all while building problem solving and design skills as you talk to your kids about the solar system and outer space. 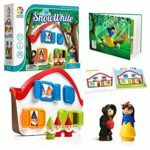 With prompts from an illustrated story book and an instruction booklet with 48 challenges, kids employ logical reasoning and critical thinking to arrange the Seven Dwarfs correctly to keep the Wicked Witch away from Snow White. Easy to put together, take apart, and re-arrange into new configurations, magnetic toys readily foster creative design and intuitive play. GeoSmart’s Moon Lander adds a dash of robotics to the mix with a motor and remote control, giving kids the ability to put their vehicles through their paces. But they’ll need to think critically about how the various components work together and where to make connections to have the motor drive the rover. By snapping together “coding” blocks that the game’s app reads and then translates into animated musical compositions, kid-users make music through programming. 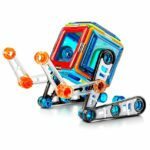 Though families do need an iPad or iPhone to run the app and play kids’ pop hit creations, this open-ended digital toy encourages creative thinking, spatial reasoning, critical evaluation and computational logic. Your little one can build their very own custom Droid and bring it to life using littleBits electronic blocks! 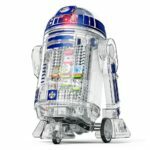 With the free Droid Inventor app, they’ll give their R2 Unit new abilities and reconfigure parts to design any Droid they can dream up. App includes challenges to promote creativity and customization using household items. What if Legos could make a fan spin, or play a little tune? 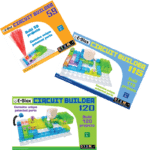 That’s the idea behind the 120 circuit-building projects kids can build with the bricks in this electronics learning toy. Builders can also design their own circuits, creating linkages to light up blocks, or turn on a noisemaker to annoy their older sibling. #funfact They’re compatible with Legos! 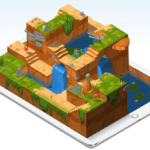 A revolutionary app for iPad that makes learning Swift interactive and fun. 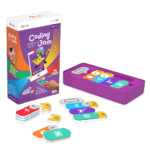 It requires no coding knowledge, so it’s perfect for students just starting out. Solve puzzles to master the basics using Swift — a powerful programming language created by Apple and used by the pros to build today’s most popular apps.